Kathleen Marie New York Lui Rug, 7'9" x 9'9"
One of a kind. 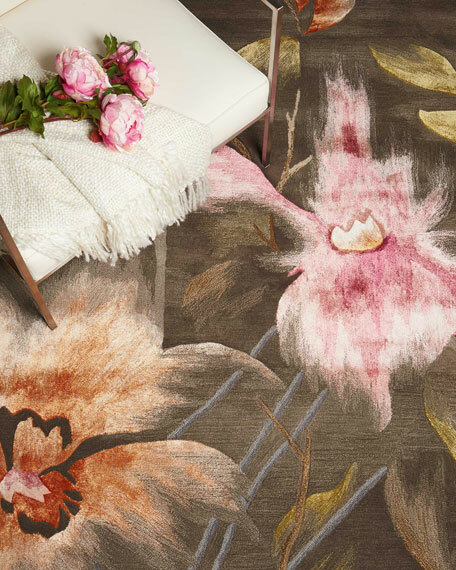 This enthralling collection of Kathleen Marie® New York Collection area rugs features beautiful artistic dimensional floral and butterfly designs with charismatic color palettes for an overall effect that is completely captivating. Hand-tufted from a sumptuous wool-blend and woven with gently shimmering fibers, these radiant area rugs are certain to cast a spell. A dramatic chocolate-brown background is beautifully illuminated by a fascinating floral pattern rendered in glorious shades of raspberry, amber, and tangerine. 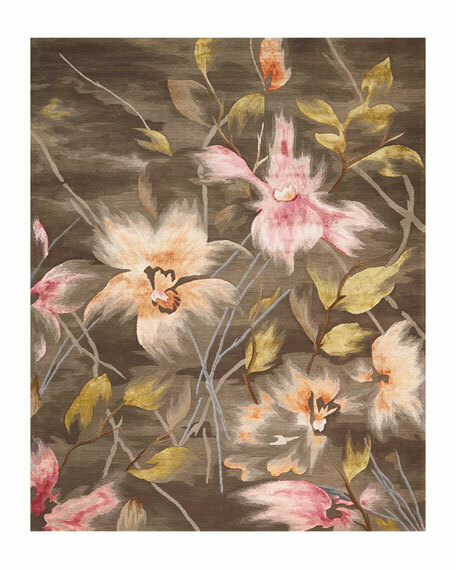 This deluxe hand-tufted Kathleen Marie® New York Collection area rug is marvelously textured and softly iridescent.